Since writing Golden Kicks one of the questions I get asked frequently is ‘what are the top five most significant shoes in sporting history?’ It’s actually a really tough question to answer because there are so many worthy shoes (there are over 50 in Golden Kicks!) that are important not just because they were worn to win gold medals and trophies, but because they had an impact on culture, fashion or the sports business. But having thought long and hard, here are my top five. I’ve specifically chosen shoes that are not only significant in the history of sport, but are also shoes that you can find in a good sneaker store and wear yourself. 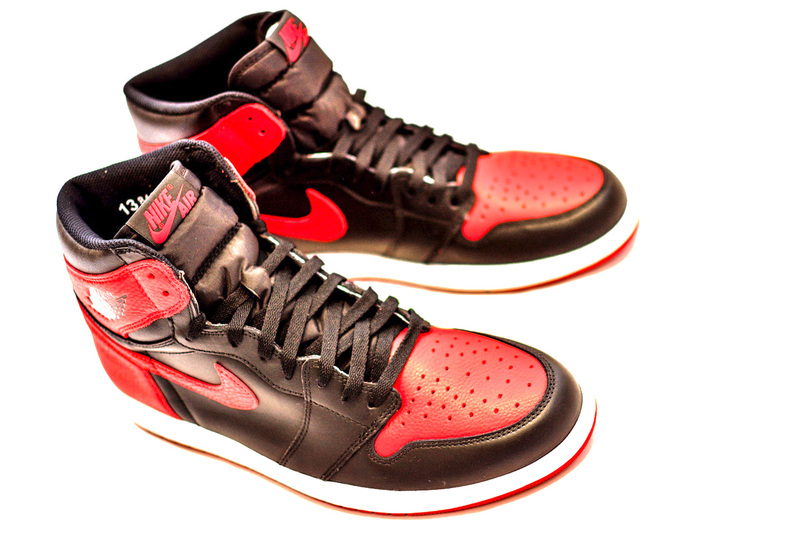 When the Nike Air Jordan 1 was launched in 1985 it marked the beginning of a whole new era in the sports business. The shoe itself wasn’t really all that special. Its design wasn’t particularly innovative and borrowed heavily from its predecessors, but what made it a game changer was that it marked the beginning of the partnership between Nike and Michael Jordan. At the time, few thought that Jordan was anything special but Nike’s Head of Basketball Sonny Vaccaro saw potential greatness in him and persuaded Nike that they needed to sign him. The problem was that Jordan was an adidas fan and so it would take something special to sign him. What Nike offered wasn’t just a sponsorship, it was a marriage based on giving him his own Jordan branded line and $7m over five years, an unheard of amount at the time. When adidas passed the chance to match the offer, Jordan signed with Nike. Together they went on to revolutionise not just basketball, but Nike itself and the way that brands and athletes would work together. Continuing to grace the feet of tens of millions over 40 years after its debut, the Stan Smith is far more than just a shoe, it’s an icon. Its amazing journey has seen it transform from a cutting edge tennis shoe in the late 60s into a globally adored fashion item and the muse for a multitude of couture collaborations and celebrity endorsements. When British designer Phoebe Philo took her bow at the end of her label’s spring 2011 show wearing a pair of Stan Smiths, they became an overnight sensation. Bizarrely, adidas began withdrawing it from sale, however, leading many to lament the death of their favourite shoe. 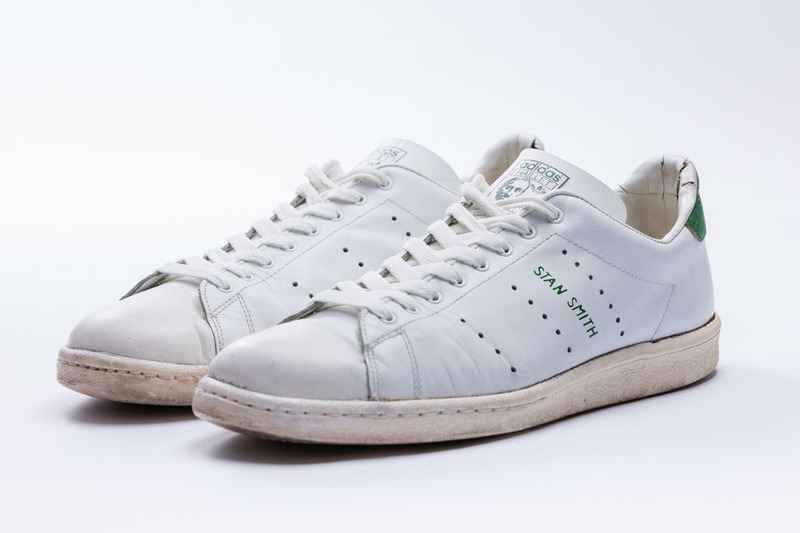 But unknown to the world, adidas were in reality planning a major re-launch that would become a lesson in modern marketing and when it re-emerged in 2014 the Stan Smith became the shoe to be seen in. Since it’s rebirth three years ago, adidas have sold more pairs than during its entire history, making it the best selling tennis shoe ever and most popular adidas sneaker of all time. As much a symbol of America as Old Glory, it’s staggering to think that the All Star celebrates its 100th anniversary in 2017. What is also amazing is that during all that time it hasn’t really changed at all. 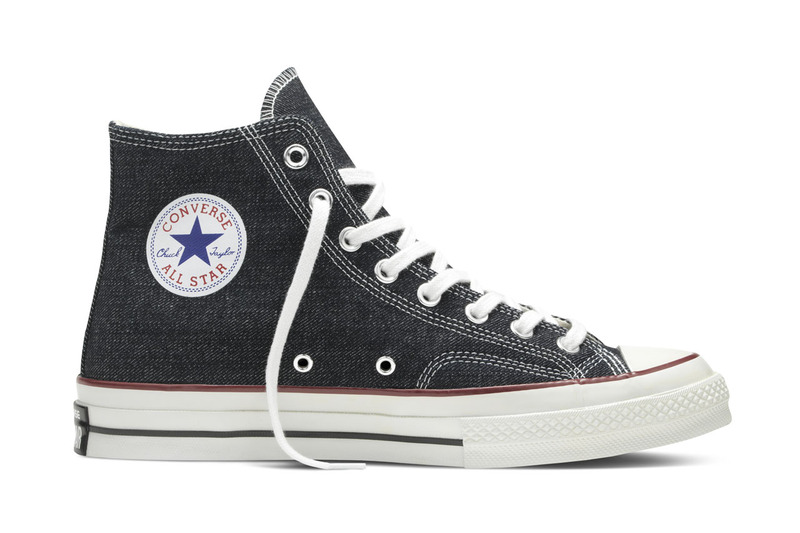 The ‘grandfather’ of all sneakers, the All Star has been the canvas for countless different styles and colourways and has been copied by pretty much every other shoe maker in existence, from Nike (who now own Converse) to Marks & Spencer. Worn by the US Olympic Basketball team to win seven consecutive gold medals it monopolised basketball courts for decades, despite having made it’s last competitive appearance back in 1979. And it shows no sign of losing it’s enormous popularity; people aged 8 to 80 still enjoy wearing it today. To many African Americans the Puma Suede is much more than just a shoe. Due to the small part it played in one of the most important moments of the civil rights movement it’s a symbol of defiance. Unwilling to compete for a nation that they felt treated them as second class citizens, many black American athletes considered boycotting the 1968 Mexico Olympic Games. Realising that they offered an opportunity to make a stand however, most decided to use the Games to highlight the injustices they faced. When black American athletes Tommie Smith and John Carlos came 1st and 3rd in the 200m, they seized upon the opportunity that their success presented them and headed to the medal ceremony. Receiving their medals shoeless, they wore black socks as a symbol of black poverty, a single black glove and both placed a single black Puma shoe beside them. When The Star-Spangled Banner rang out, Smith and Carlos bowed their heads and raised their gloved fists to the sky in a defiant silent protest that became known as ‘The Black Power Salute’. It was met with complete shock. Booed as they left the podium, they were treated as pariahs for decades. Today their protest is hailed as a landmark in sporting and civil rights history and despite only playing a minor role in their protest, the Suede became a symbol of their defiance. Speaking about them Smith said ‘I wore them when I won the gold medal, and they were sitting on the victory stand that night… it was important that I have them on the stand, because they helped me get there, during the race and long before. They were as important as the black glove and the black socks.’ 30 years later the Suede still serves as reminder to the many who wear it of Tommie Smith and John Carlos’ courage. A giant of the sportswear industry, even diehard Reebok fans don’t realize that the shoe that got them there was one of the unlikeliest in sporting history; an aerobics shoe made for women called the Freestyle. 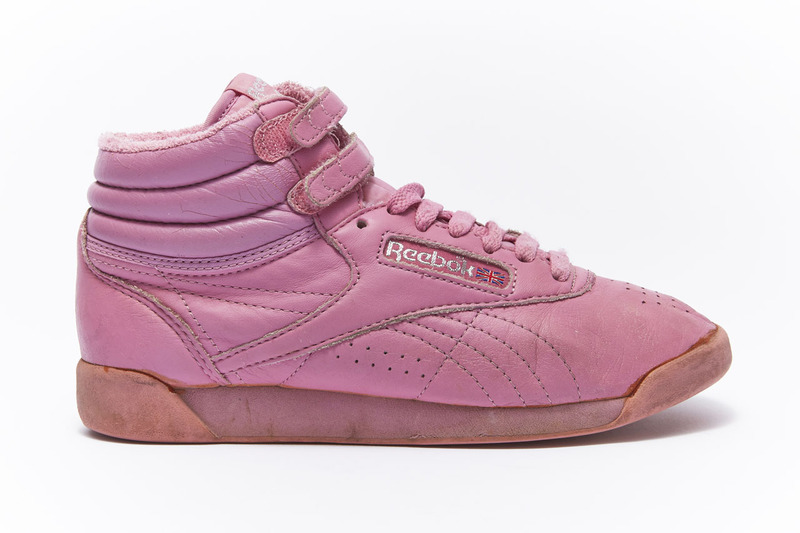 Aware of the growing popularity of aerobics during the early 80s, Reebok CEO Paul Fireman decided that the company should make an aerobics shoe for the women who were taking up the exercise in their millions. While competitors followed a ‘pink ‘em & shrink ‘em’ approach, the Freestyle was designed specifically with women in mind and it had a simple, elegant design and was made of very soft leather that bizarrely had only been chosen due to a prototype manufacturing error. Instead of shoe leather, by mistake glove leather had been used to make the prototype but Reebok were so delighted with it’s softness they instructed the factory to keep using it. Being light, needing no breaking in and coming in simple colours, the shoe was an immediate hit and from sales of $300,000 in 1980, by 1985 the Freestyle almost singlehandedly powered Reebok’s sales to $307,000, knocking Nike off the No.1 spot in the US and crowning Reebok as America’s biggest sportswear brand. Read many more stories like these in Golden Kicks: The Shoes That Changed Sport which is available now in all good book stores or online at www.bloomsbury.com. And head over to @BloomsburySport for your chance to WIN a copy of Golden Kicks – signed by trainer icon Stan Smith! To stay up-to-date with all our sporty news and offers, sign up to our e-newsletter today. This entry was posted in Sports shoes and tagged Golden Kicks, shoes, sneakerhead, sneakers, Sports shoes, trainers. Bookmark the permalink.